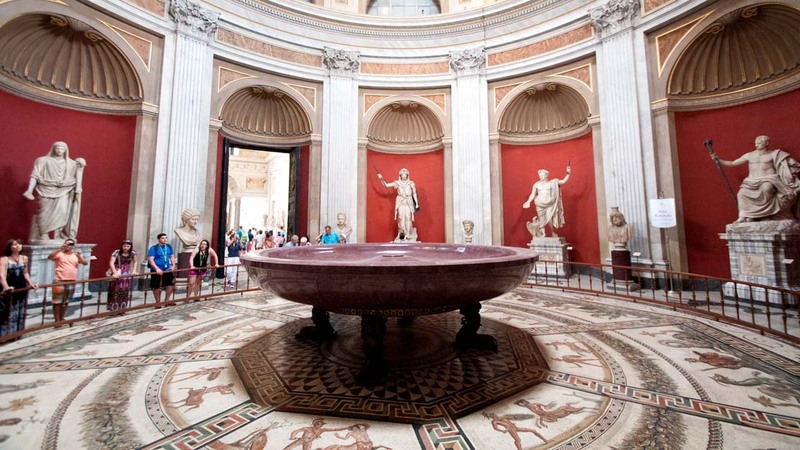 When in Rome, don’t miss out on the Vatican’s world-famous Vatican Museums. 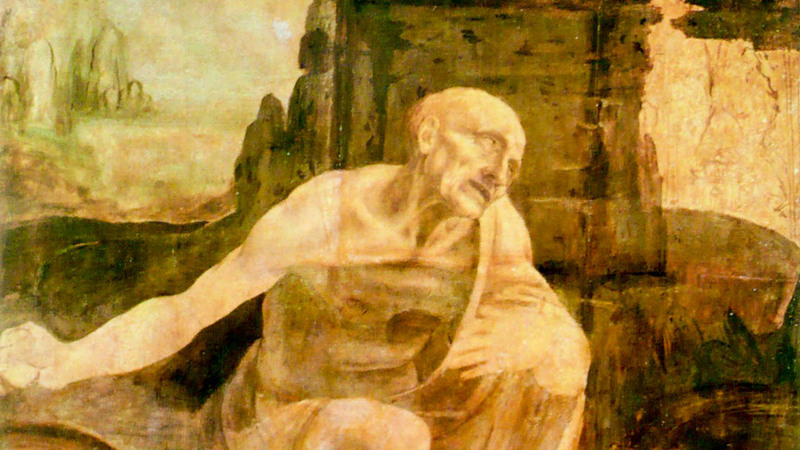 Over the centuries, popes have built up a truly astounding collection of artistic masterpieces. There are countless things to see, but make sure not to miss these 5 highlights. The Sistine Chapel alone would be worth a trip to the Vatican Museums. Painted by the greatest Renaissance painters, the chapel’s famous frescoes are quite simply sublime. The 4 dazzling Raphael Rooms form the public part of the Pope’s apartments. Raphael’s magnificent frescoes decorating the walls give those of the Sistine Chapel a run for their money. This stunning sculpture of a muscly male torso was highly influential for Renaissance artists like Michelangelo (note Christ’s similar pose in the Sistine Chapel’s Last Judgement). Despite being unfinished, this gorgeous painting is a glorious demonstration of Leonardo’s painterly prowess. Unbelievably, it was once cut up and used to cover a barber’s stool. A masterpiece of neo-classical architecture, this majestic room is shaped like a miniature pantheon, with lavish mosaics covering the floors and ancient statues lining the walls. Although the Vatican Museums are extremely popular with tourists all year around, if you’re looking for a quieter visit, your best bet is during the low season between November and February. 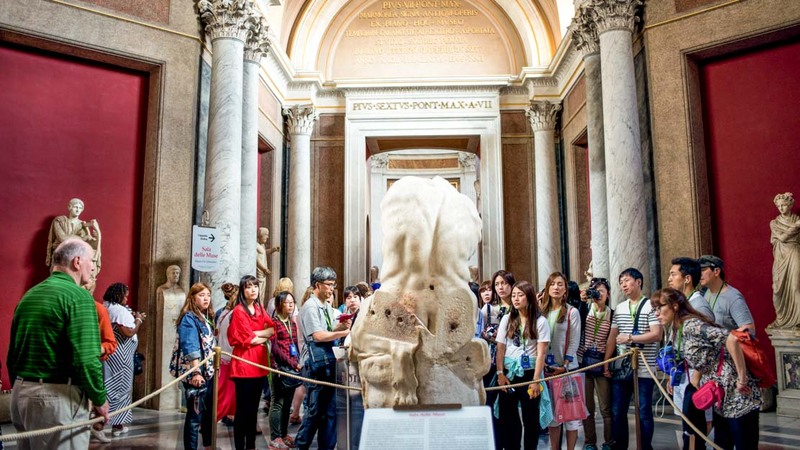 On the last Sunday of every month, entrance to the Vatican Museums is free during opening hours, from 9:00 AM until 12:30 PM. This is a great way of saving money, but be warned: these free days are also the most popular. If you’d rather avoid the large crowds, you’re better off going on a regular day. The ticket office opens at 9:00 AM. 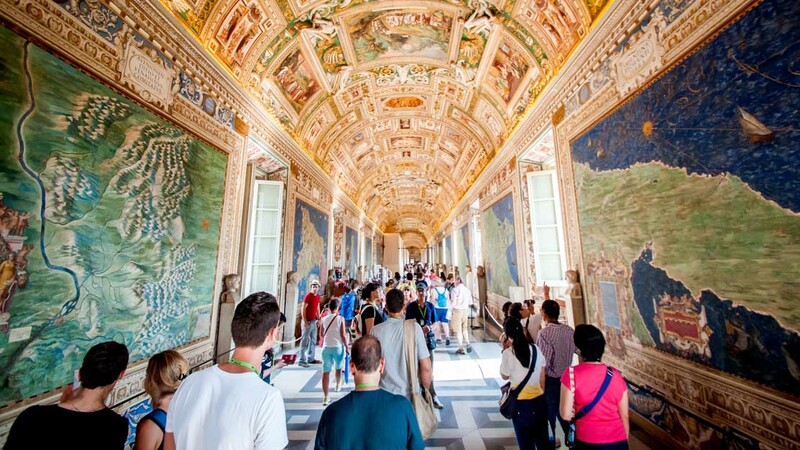 If you want to see as much as possible, then you should arrive early, as the Vatican Museums are huge (over 9 miles!) and long lines can start forming at the entrance even before opening time. However, if you’re more interested in avoiding the queues, come around 1:00 PM. Most people will be headed for lunch at that time and it’s often possible to walk straight in without wait. Even if you’re intending to avoid the queues, don’t come too late. The ticket office closes at 4:00 PM and the Vatican Museums close at 6:00 PM. 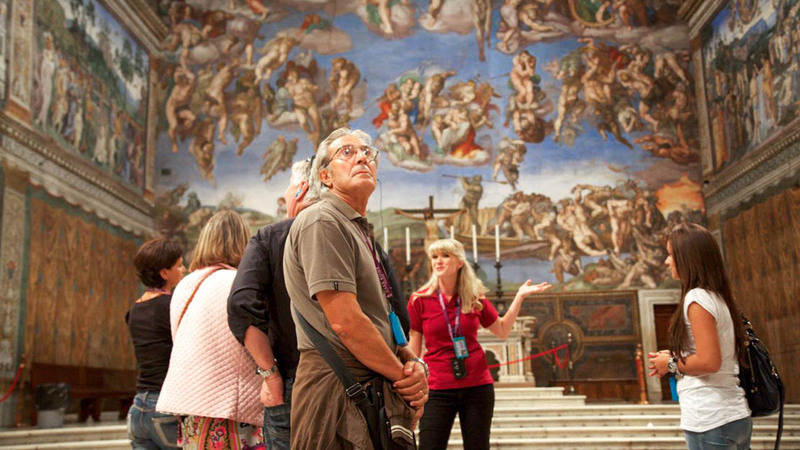 If you want to have time to see the Sistine Chapel, you should arrive at the Vatican Museums by 3:00 PM at the latest. Free to look at from the outside. Admission tickets vary. Not compulsory, but highly recommended. Taxi, bus, metro, tram or by foot from Rome. Look here for more detailed directions. Large bags are not allowed in the museums, so pack light! There is often no air conditioning in the museums so make sure to dress accordingly and bring a bottle of water.